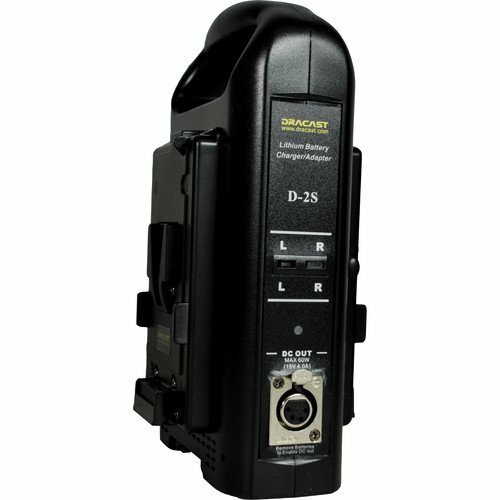 The portable DR-CH2V Dual V-Mount Battery Charger from Dracast allows you to simultaneously charge two V-Mount batteries (or a single battery) from 90 to 240 VAC sources. It features a top handle for easy transport and built-in capacity management system to ensure fast charging. The charger will automatically shutdown once the batteries reach their full charge. 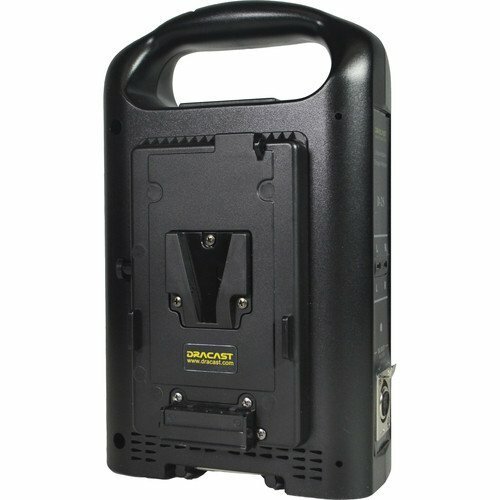 Additionally, the charger can function as a portable AC to DC power adapter, taking the AC power input and outputting 15 VDC at 4A via a 4-pin XLR connector. The output is only active when no batteries are attached. Box Dimensions (LxWxH): 11.0 x 9.0 x 5.0"